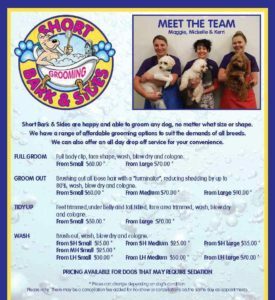 Mickelle and Kerri are happy & able to groom any dog, no matter what shape or size. 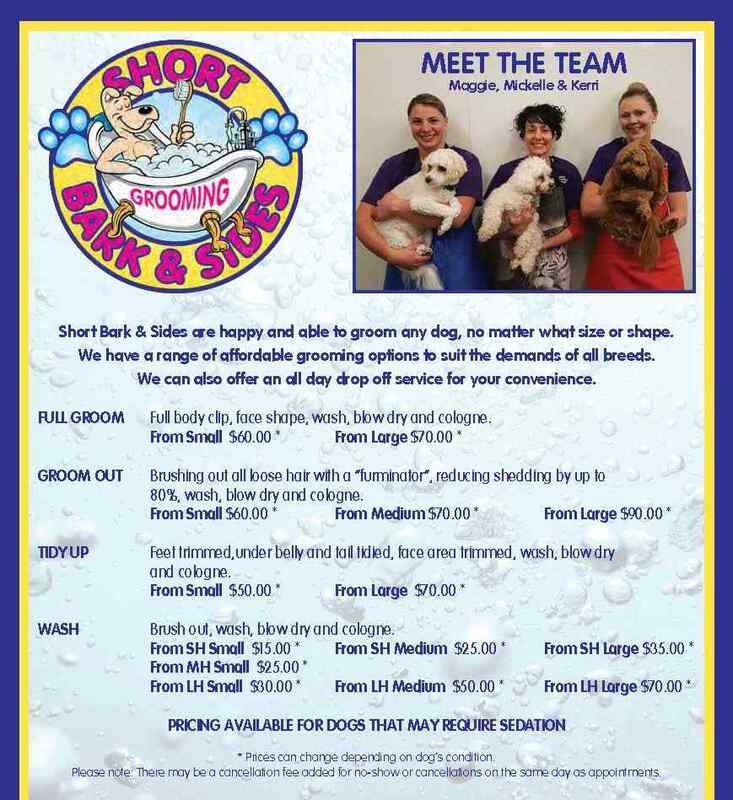 With being a vet clinic & having plenty of kennels we can also offer an all day drop off service for your convenience. Full body clip, face shape, wash, blow dry and cologne. Brushing out all loose hair with a “furminator”, reducing shedding up to 80%, wash, blow dry and cologne. For badly matted dogs. Includes a whole body shave, wash, blow dry and cologne. 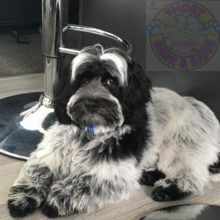 Feet trimmed, under bell and tail tidied, face area trimmed, wash, blow dry and cologne. Brush out, wash, blow dry and cologne.